Amsterdam, Andries van Damme, 1724. 2 parts (bound in one). Small-4to (197 x 150 mm). pp. 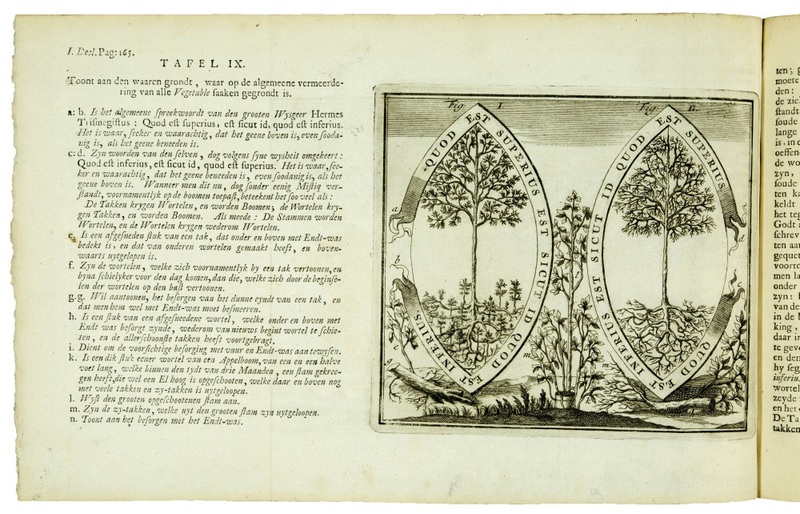 (14), 208, with 2 engraved frontispieces and 34 mostly folded engraved plates. 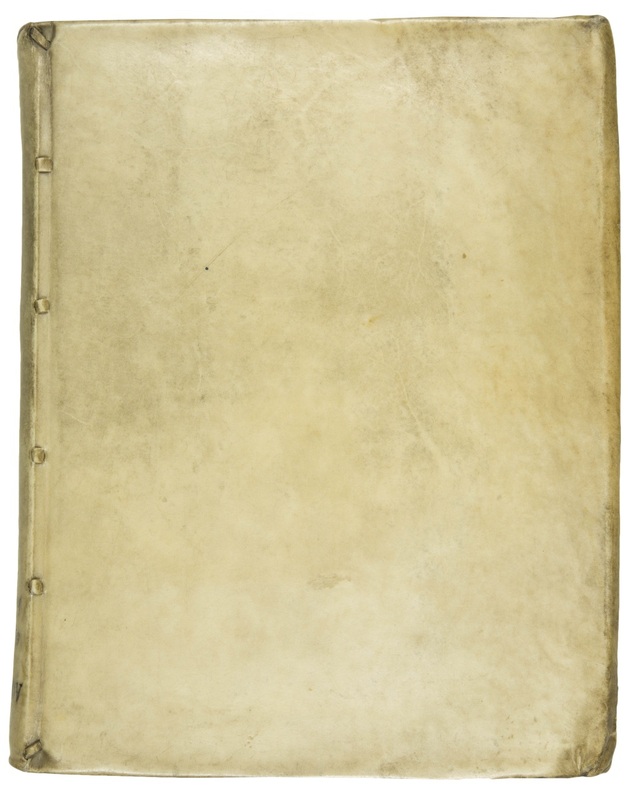 Contemporary vellum (upper joint cracking). 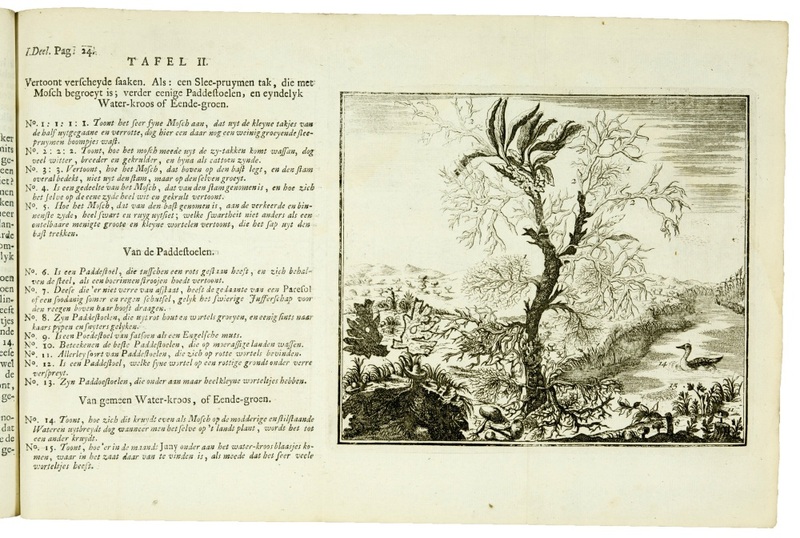 Second Dutch edition. 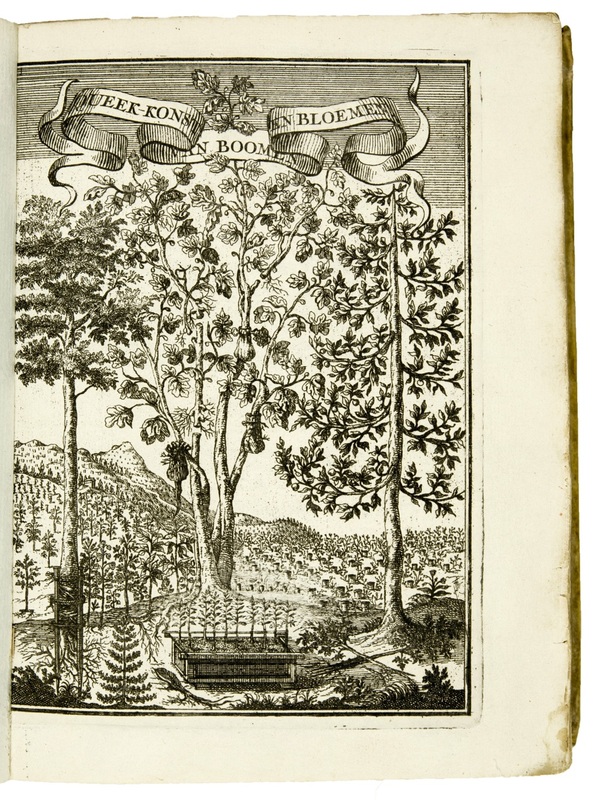 The first German edition appeared in Regensburg 1716-17 and was translated into French, Dutch and English. 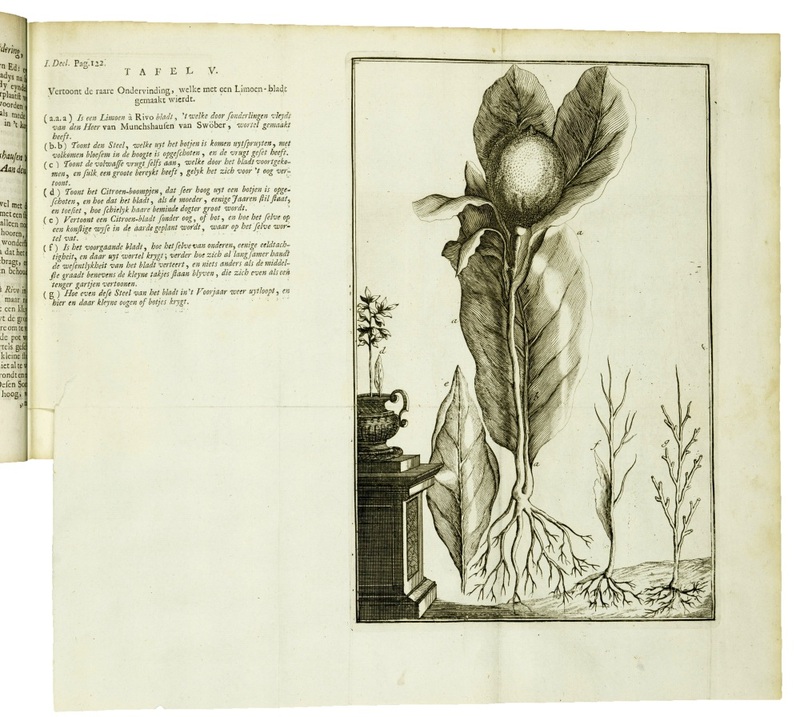 'Last published in 1784, its 35 plates served as the principal illustrated fruit-tree propagation manual for many decades' (Janson, Pomona's Harvest p. 215). 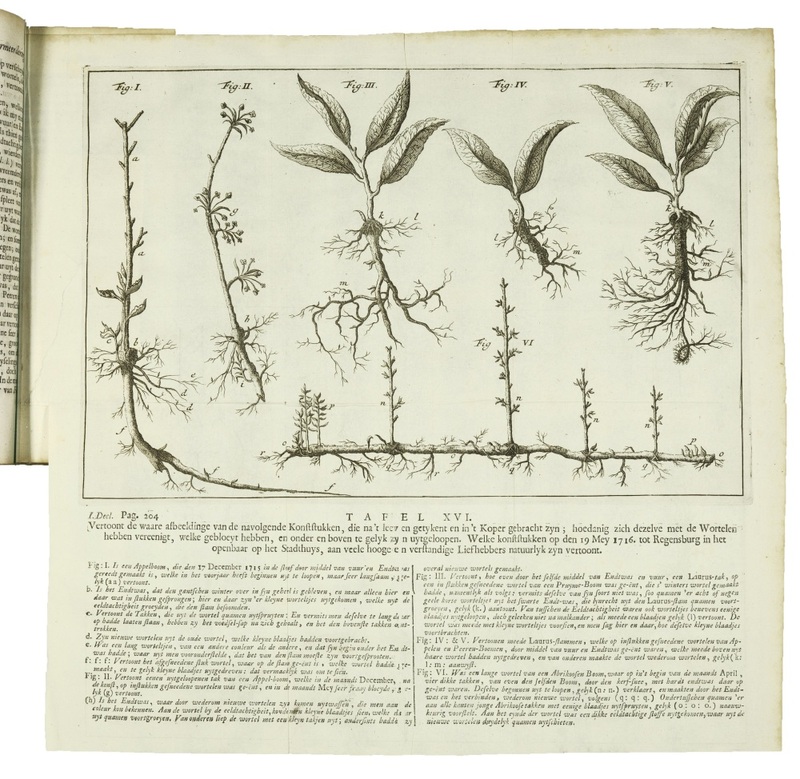 According to Hunt 'this was the first treatise on cuttings and graftings, and it made Agricola famous'. Some slight waterstaining. Bibl. 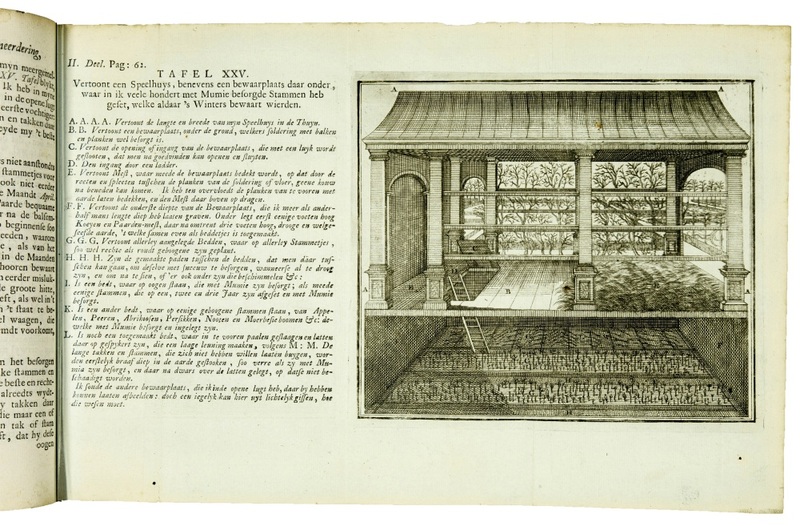 Landbouwuniversiteit Wageningen, Special Coll. no. 7 (first edition). See Hunt 452.